You don’t have to be Hans Brinker to appreciate an icy saunter under an evergreen canopy populated by winter birds. 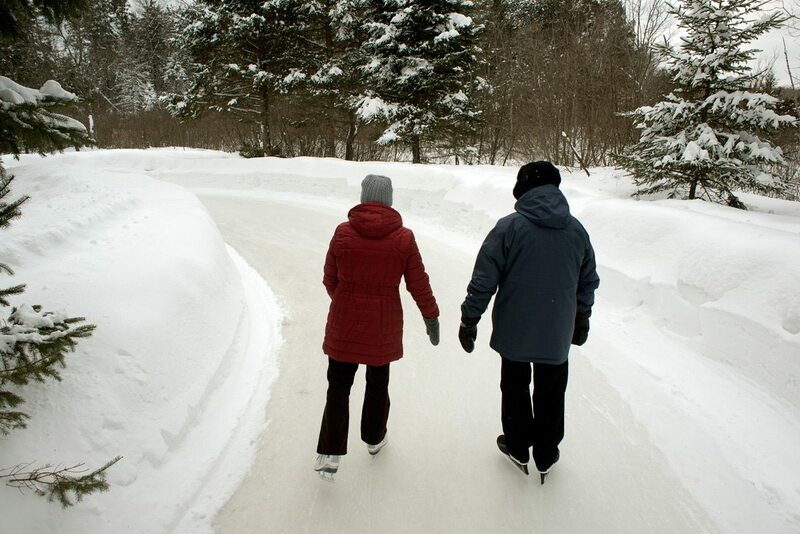 While Ottawa has the Rideau Canal and Gatineau has Lac Leamy, the Outaouais has an enchanting skate path that winds its way through the woods in Lac-des-Loups. The magical Patinage en forêt was created by Dave Mayer, an Outaouais contractor better known for building sunrooms for local homeowners. But that’s a summer thing, and come winter, his land beckoned to be put to use. Mayer isn’t much of a skater — he took his first spin on the ice in 30 years during the inauguration of the skate path this past winter. But the point wasn’t to build it for himself; the point was to create something that got people outdoors while keeping himself busy during the slow months. The three-kilometre loop attracted more than 15,000 enthusiasts from across Canada and around the world during its first season. It’s not a stretch to say people fell in love — in fact, the path served as a backdrop for a few marriage proposals. And the people of Lac-des-Loups embraced the initiative: when Mayer made a presentation before municipal council this past September to rezone the land so that the skate path can become a permanent fixture, more than 100 locals were there to back him up. There are naysayers (every community has its share of NIMBYs), but skating on a crystal surface under a brilliant blue sky tends to bring out the best in people, whether local or from away. 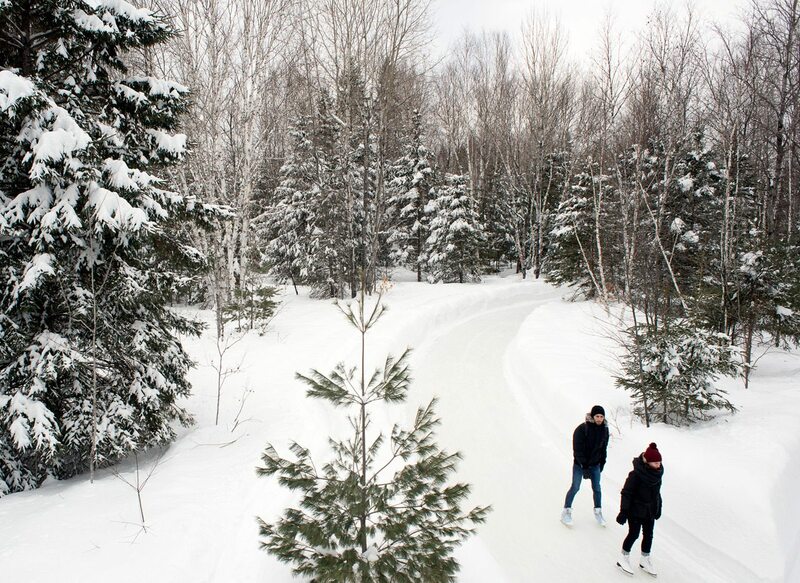 Perhaps some of the enthusiasm for Patinage en forêt stems from the fact that it offers an experience the Rideau Canal once did — a space bereft of sponsor logos, BeaverTails, and noise. Mayer’s skate path harkens back to a bygone era when the focus was simply a beloved pastime: skating in the open air.